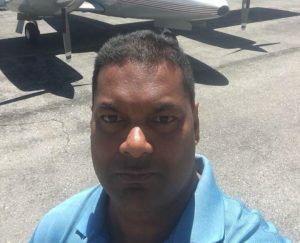 A Guyanese pilot, who was responsible for flying out two small planes from the Eugene F. Correia ‘Ogle’ International Airport two years ago without approval, died in a plane crash off the Long Island, New York coast on Saturday, well-placed sources confirmed. Guyanese aviation sources have also confirmed the death of Persaud. Persaud and unnamed pilot had in June 2016 flown out two Cessna 206 aircraft, which are the subject of High Court litigation in Guyana, from the Ogle Airport without authorization. The aircraft were the subject of a court injunction by Domestic Airways that had barred their removal from Guyana. The US Navy Times reported that a small private plane carrying three people crashed into the ocean off the coast of Long Island on Saturday. One body was recovered following the 11 a.m. crash of a twin-engine Piper PA-34 about a mile off of Quogue, in the Hamptons. The cause of the crash was not known, Isola said. The identity of the victim who was found was not immediately determined.